Popular Spanish singer ‘Macaco’ (Dani Carbonell), formerly one of the lead singers of the Barcelona-based new flamenco group Ojos de Brujo, has joined with other well-known music artists and the Spanish Committee for Refugee Aid (Comisión Española de Ayuda al Refugiado, CEAR) in the release of a powerful new music video titled Red Alerta in support of refugees fleeing the Middle East and Africa in search of safe haven in Europe. In the five-minute video, available for free download on the CEAR website, Macaco is joined by Sevilla hip hop emcee Tote King, Ander Valverde of Spanish reggae-dancehall group Green Valley and the Sahrawi singer, percussionist and actress Aziza Brahim, who has herself born in a refugee camp in Algeria, after her mother fled with thousands of other Sahrawis from the Moroccan occupation of the Western Sahara in 1975. 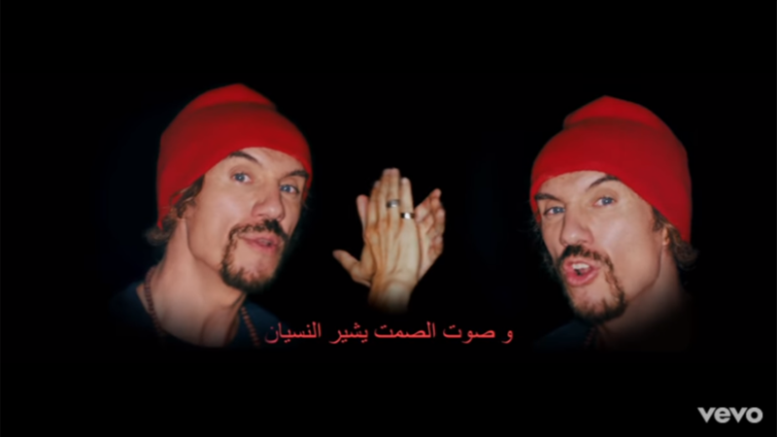 In a rhythm that is typical of Macaco’s musical style, which has been described as a fusion of rumba Catalana, reggae and funk with a Latin American electric accent, ‘Red Alerta’ was filmed on the shores of the Mediterranean Sea, where non-governmental agencies have estimated that some 2,000 refugees have drowned in the first six months of 2017 trying to reach European shores. Macaco said the song was written to reflect the anguish and the tragedy experienced by refugees each day as they die en route to Europe or languish in refugee holding camps while EU governments debate their future. According to a just-released report from researchers at Britain’s Middlesex University and funded by the Economic and Social Research Council (ESRC), more than 80 percent of people arriving to Europe by sea are fleeing from persecution, armed conflicts and famine in refugee-producing countries such as Syria, Afghanistan and Iraq, with fully 25 percent of those refugees being children. The authors of the report, Mapping Refugee Perception in the Mediterranean, say the findings contradict the myth that most migrants coming to Europe do so for economic reasons.